Premium, all natural chocolate full of the best ingredients to give you unmistakable, total chocolate enjoyment. ALB-GOLD manufactures more than 150 different pasta shapes using the best raw materials of finest quality. KuchenMeister means “cake master” in German, who produce some of Germany’s most delicious cake specialties. We love teatime, so it’s only natural that we do it properly! The lifestyle bakery, famous German breads and cereals. The Davidoff coffee experts have perfected exceptionally rich and exclusive blends such as Rich Aroma, Fine Aroma & Espresso 57. Tchibo stands for top-quality coffee and unmatched coffee enjoyment. Award winning pasta sauces start with naturally sweet, sun-ripened tomatoes imported from the fertile volcanic soils of southern Italy. Do your mouth a favour and try RJ’s Licorice today! Baking Germany’s traditional spiced gingerbread biscuits for over 300 years! Those who love good food, enjoy Hengstenberg! Discover a variety of classic culinary specialties. Specializing in Marzipan, Chocolate and Chocolate Specialties for almost 60 years. Grafschafter sugar beet syrup makes an ideal spread on toast or ingredient for cakes, cookies, marinades and sauces. Naturally gluten and lactose free. Specialty liqueur chocolates from Switzerland. RAGUSA is the original Swiss chocolate with a cult following. And with whole hazelnuts that have kept it rocking for over 70 years. 100% natural. Appel Seafood, deliciously marinated in a variety of sauces. The best cocoas in the world are used to make the chocolate for premium Asbach chocolates. Producing quality fruit mulled alcohol free wines from Germany. Zwieback, specialty breads, chocolates and more. Distinguished and authentic Lübeck marzipan. Great tasting mustard imported from Germany. Fine cookie bakery since 1825 based in Germany. ALB-GOLD uses only the best raw materials for Bechtle traditional egg pasta. Natural food products from the Earth. Antipastos made from fresh vegetables and all natural ingredients. Producer of delicious hand-baked shortbread with the finest ingredients. Germany’s best-selling ketchup – stands for unrivalled flavour and high quality. Germany’s first non-alcoholic beer brand rich in tradition. Hillside Candy, a family-owned business, continues to pride itself in producing premium products, made only from the finest ingredients. Making premium cough drops is an art and has been our passion since 1899. Best of Bavaria, offers traditional and innovative potato and bread products. Full flavor coffee and richness imported from Germany. Gem Gem’s ginger candy blends honest, natural ingredients into a succulent snack- a treat for the senses and the body. Vienna, Austria, home of the original Neapolitaner wafer. The lion among mustards, made from freshly ground mustard seeds. Famous for the light and crispy peanut snacks that the whole family will love! Discover the diversity and quality of our unique honey products. Sunshine in every serving! Germany’s most popular malt drink for over 50 years! Meica have been making sausages for more than a century using recipes old and new with the very best ingredients. Coconut Fat produced in Germany for over 100 years. Producer of exquisite Luebeck marzipans, fine pastries and chocolate sweets. Delicious wafers from Napoli- a division of Josef Manner& Comp AG. Founded in Lana, Italy in 1935, specializing in the production of high-quality jams. Every single fine Reber chocolate is an exquisite composition of high-quality, natural ingredients. 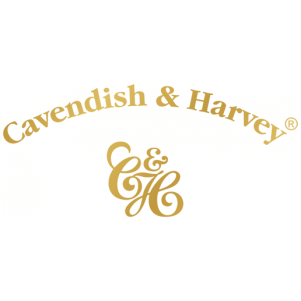 A family run business committed to producing traditional Scottish confectionery of outstanding quality. One of Europe’s market leaders for chocolate figurines with more than 750 different chocolate products. Specialty foods including ready-to-eat soups – just heat and serve! A Yorkshire family business devoted to the craft of outstanding tea. 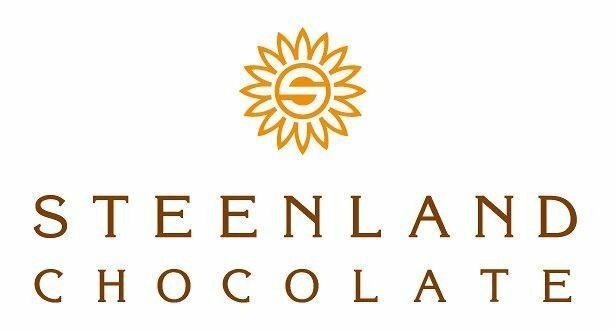 Producer of high quality fine milk chocolate and nougat specialities focusing on seasonal novelties. Dedicated to producing a variety of gourmet chocolates with an unequalled and innovative quality. For over 40 years Sable & Rosenfeld has created and distributed exceptional gourmet foods including cocktail garnishes, appetizers, condiments, and sauces. We use only the very best raw ingredients in our pastas. Premium pure pressed fruit juices with no added sugar. Leader in traditional German Christmas pastries since 1925. A family owned company established in 1950, famous for our chocolate sticks.